It's always awesome when someone's dreams come true, no matter who that person is. For instance, it was recently revealed that Matt Reeves was a superfan of the original Planet of the Apes movie, and that his first ever short film was a mash-up of Planet of the Apes and Star Wars. Sure, a lot of people are big Planet of the Apes fans, and plenty of people made silly parody movies when they were teenagers — but Matt Reeves just happens to be the director of the upcoming Dawn of the Planet of the Apes. Right?! Reeves is basically living every fan's ultimate dream. Can you imagine if you were cast in the next Star Trek movie or asked to reboot Harry Potter or write a fourth Hunger Games book? It would be exciting beyond all reason, but it would also be kind of nerve-wracking— I mean, it would be up to you to inspire the next generation of fans! That's a challenge that has been presented to more writers, actors, and directors than just Reeves. In fact, there have been plenty of ultra-fans who were asked to be part of the very thing they'd been geeking out about for years. Here are five more fans who lived the dream! 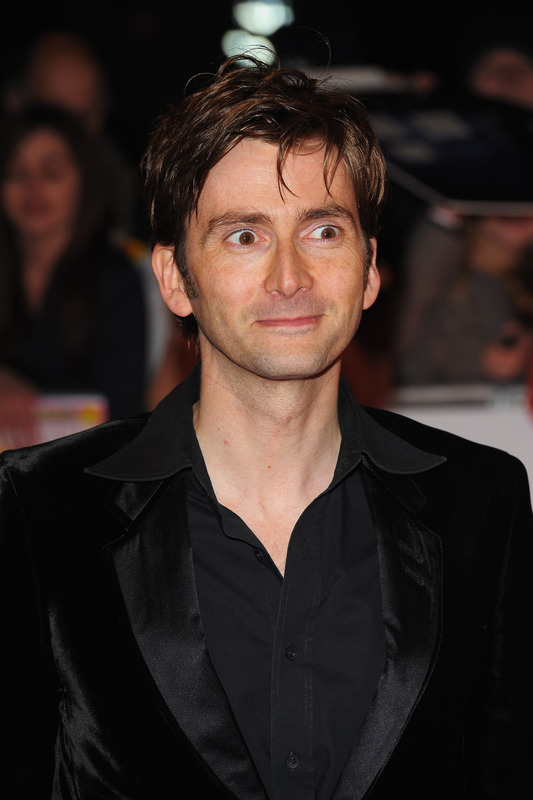 If you know anything about David Tennant, it's probably that he was a massive Doctor Who fanboy growing up who used to pretend to be the Doctor in his parents' living room. Later, of course, he was still pretending to be the Doctor in living rooms — just in those of millions of strangers around the world, on their TVs and laptop screens. See that gif? J.J. Abrams wasn't a Star Trek fan, but only because he was such a devoted Star Wars guy! And now, of course, he's slated to direct the seventh Star Wars movie, using techniques that he says he learned from watching the original films! Having grown up with the Harry Potter franchise, Evanna Lynch was such a fangirl that she'd even named her cats after characters from the books. When she saw the open casting call notice on a Harry Potter fansite, she made her own radish earrings to wear to the audition. Her attention to detail and obvious love for the role won her the part of Luna Lovegood in Harry Potter and the Order of the Phoenix! You may have never heard the name Tim Owen before, but you've probably heard of Judas Priest, one of the most successful metal bands of all time. Tim Owen was such a big fan of theirs that he started a cover band called British Steel — and that cover band became so successful, that Owen was made the new lead singer of Judas Priest after previous lead singer Rob Halford left the band. It's no secret that Clerks director Kevin Smith is a big comic book fan, specifically Batman comics— just check out his Batman costume in Mallrats. Heck, the guy even hosts a fanboy podcast called "Fatman on Batman". So when he was tapped to actually write for the famed DC comics series, he got an opportunity that he'd been dreaming about his entire life.